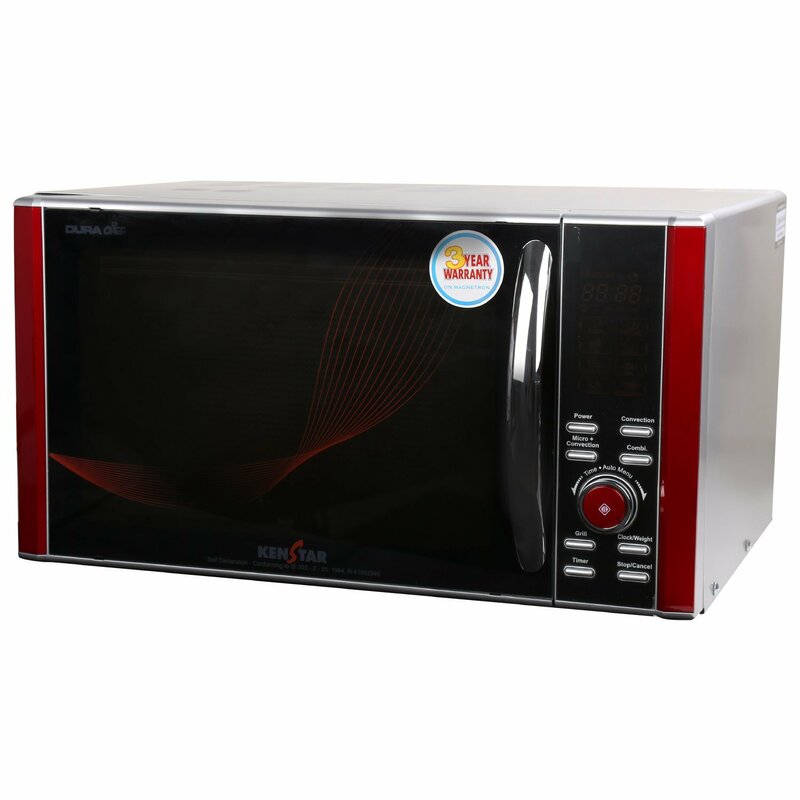 Kenstar 25 L Convection Microwave Oven (KJ25CSG150, Silver) comes with impressive features that will surely enable you to cook foods efficiently and conveniently. 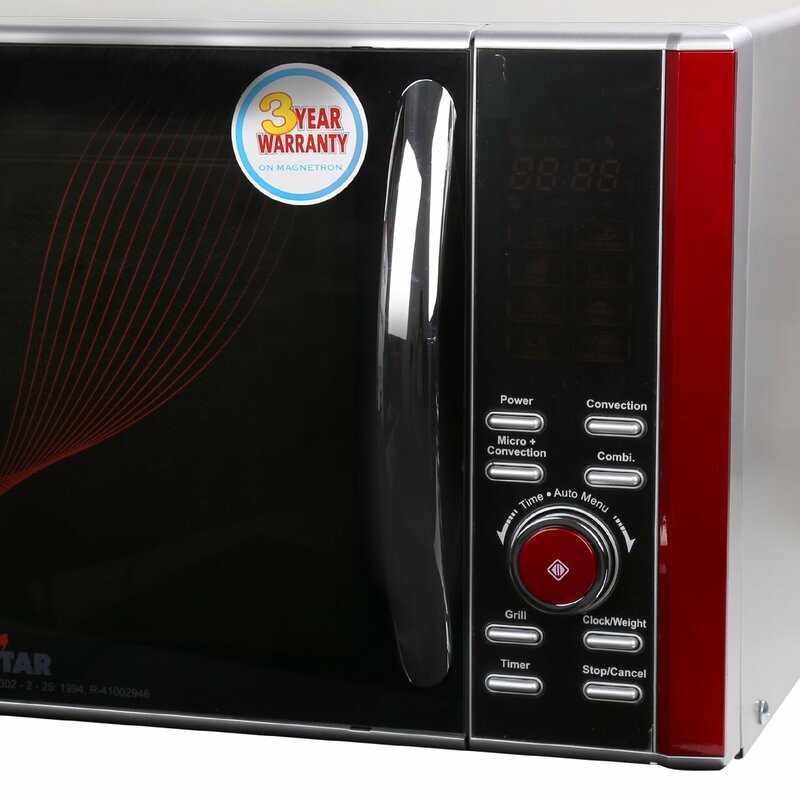 This Kenstar microwave also carries one year of product warranty and 3 years of magnetron warranty. Using the multi-stage cooking, you can automatically sequence the cooking stage. Because the inbuilt memory stores 3 levels of cooking simultaneously. 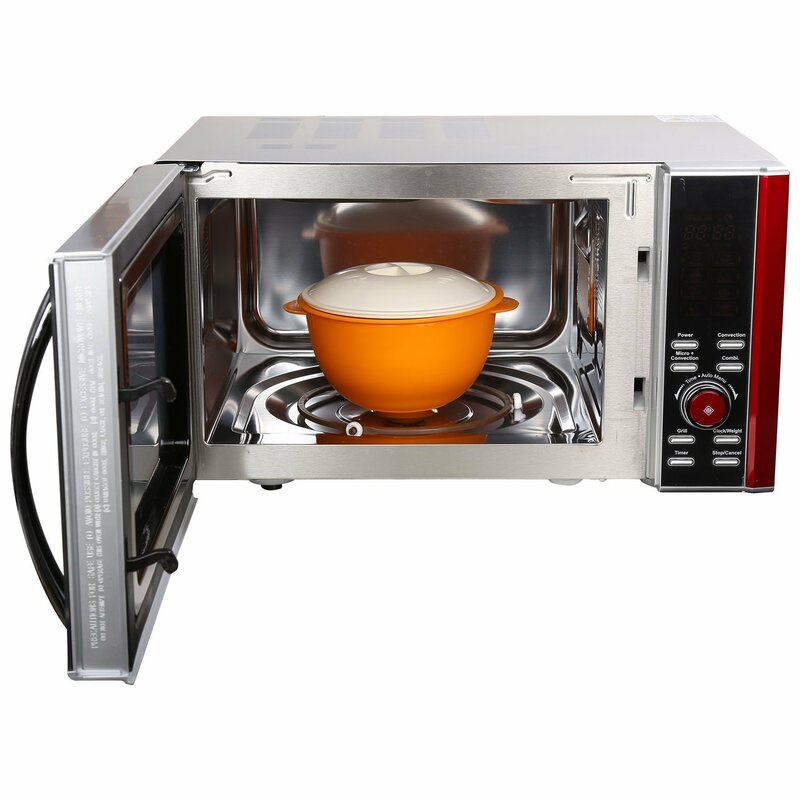 So it is really a good feature/capacity to save time and to enjoy convenient cooking. 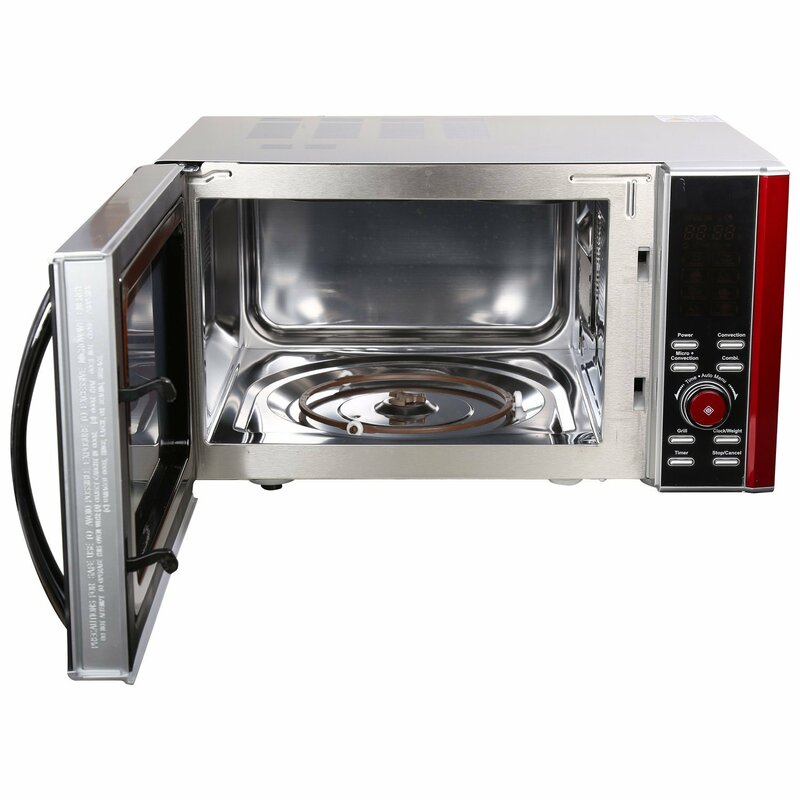 This Kenstar 25-liter convection microwave comes with 150 auto cook menus. Using the long list of cooking menus, you will be able to keep popular foods without using the guesswork. Auto cook menu is designed in a way so that it can adjust the cooking time automatically with multi-weight selection. You just need to press a button and the rest of the work will be handled automatically by the unit. 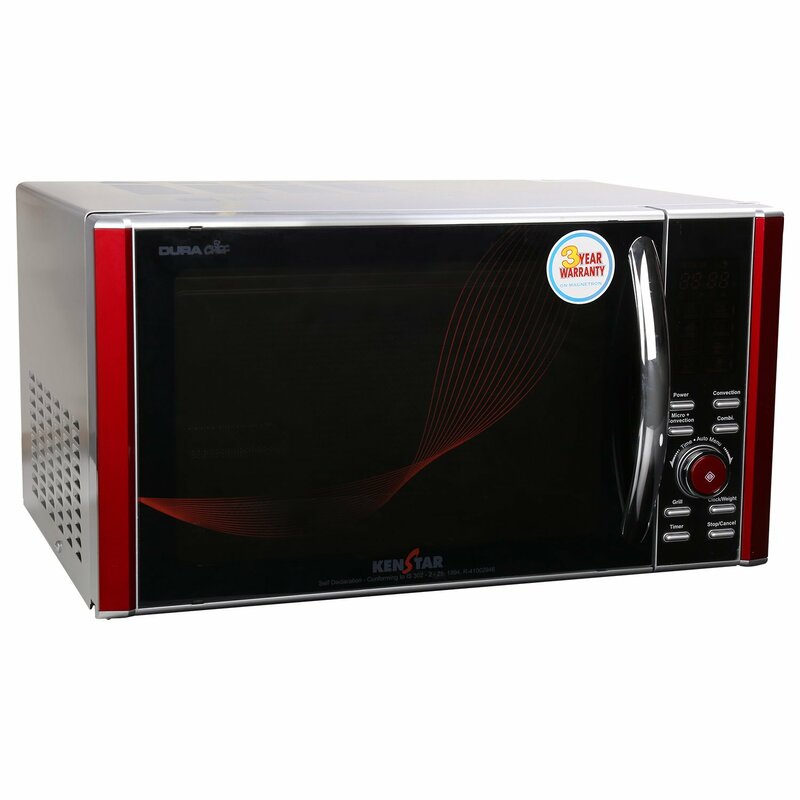 Kenstar KJ25CSG150 microwave comes with large and small grill stand to prepare amazing grilled dishes. 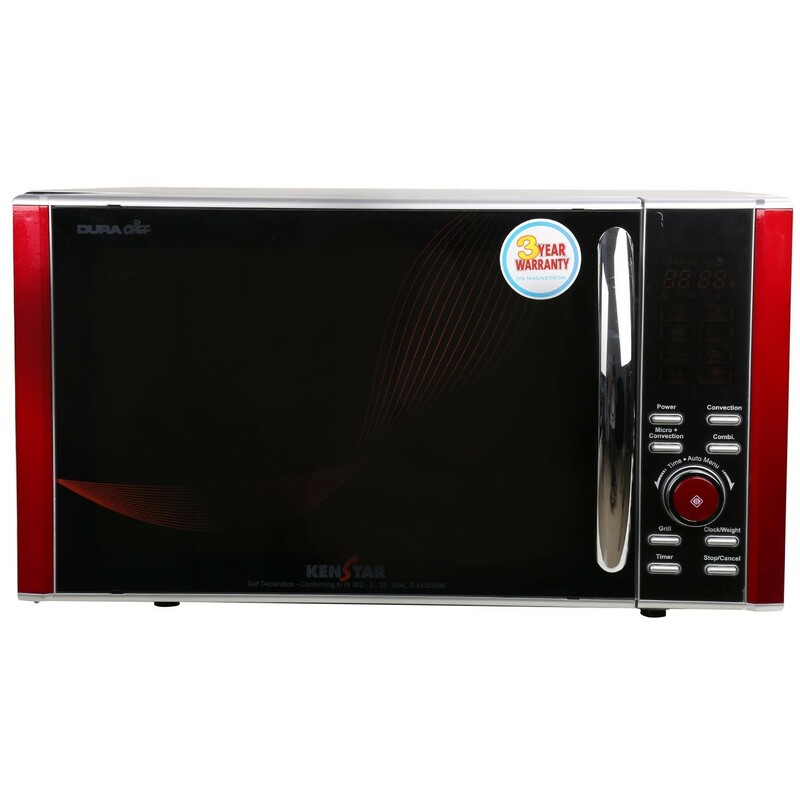 Other important features are express cooking, 95 minutes cooking timer, combi function and lemon clean function.